The last time I took my daughter Sophia, seven, to Te Papa, she barricaded herself inside a life-size model of a Blue Whale heart for almost an hour. I can’t blame her. The acoustics of such a grand space must have been startling to her sensitive little ears, right from the moment we entered the museum. She held my hand tightly as we stepped into the glass elevator, her grip tightening as we ascended the new and unfamiliar surroundings. As we stepped out of the elevator, she stopped to survey the 360-degree view around her. There were people everywhere. The crowds and noise were enough to make anyone break out in a cold sweat. But to a little girl with heightened senses, and no verbal language skills to emote her building anxiety, it must have been terrifying. I felt her grip loosen and she started to run, nowhere in particular, with no finish line in mind. She ran past the skeleton of Phar Lap, completely ignoring the rumbling earthquake house, finally finding refuge in the smallest, quietest space she could squeeze into (said whale's aorta) and stayed there. I eventually coaxed her out with a box of raisins and a Peppa Pig youtube clip. As a family, we limped home, feeling exhausted and defeated. Perhaps family visits to an art space such as a museum is not a viable activity for us. Te Papa might mean "our place" in te reo Maori, but I don't think it's our place after all. Since I've become involved with Arts Access Aotearoa, I have realised that accessibility to all of the arts IS a viable option. With a bit of creative thinking and innovation, anything is possible. No matter what the art space or disability. With my new sense of hopefulness, these school holidays I decided to look for some accessible local options for arts activities I could share and enjoy with Sophia. I found a long list of overseas museums and attractions that offer both one-off and regular sensory-friendly events: London's Natural History Museum, Tower of London, Windsor Castle, Tate Museum (Liverpool) to name a few. Even Dollywood (Dolly Parton's amusement park) has regular autism friendly sessions! Earlier opening times, special admission prices for caregivers, express lanes for ticket booths, downloadable visuals and social stories, as well as muted/toned down lights and audio options make for a much more pleasurable experience for visitors on the Autism Spectrum and their families. The Victoria Museum in Melbourne describe themselves on their website as "autism friendly", offering visitors a colour-coded map showing areas of high and low sensory spaces. Wouldn’t it be great to have a predetermined course to follow that avoids all the sensory landmines that can cause distress? To know at all times where the closest designated "chill-out" areas are if visitors need to break away from everything would also be a most welcome innovation. Their website also includes a guide to when the quietest times are to visit; how to buy tickets online to avoid delays and queues on the day; as well as a number of "social scripts" (visual aids explaining what to expect from the experience) to prepare in advance. I would love to see this sort of initiative taken up by art spaces in New Zealand. I have found several one-off events in a sensory-friendly environment but no ongoing features to make visiting an art space an attractive and positive experience for Sophie and me. 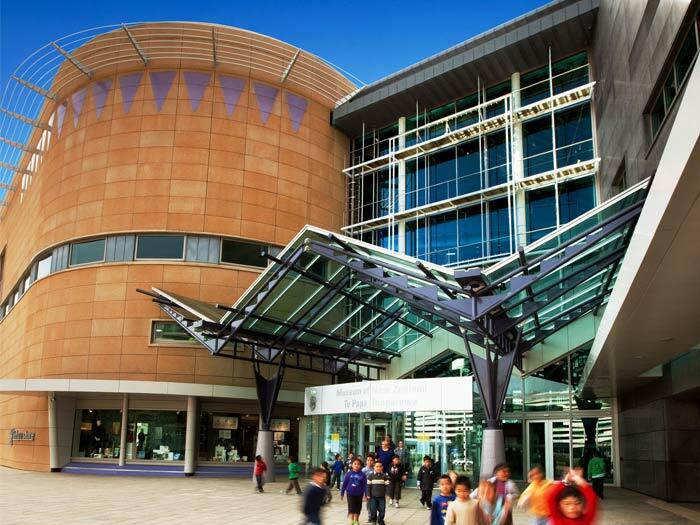 Sure, I can prepare in advance, making sure we visit at quiet times, pack essential items (running shoes, raisins and smartphone), make my own visual guides and so on, but until the day Te Papa and other local art attractions become more accessible to families like mine, it will never be "our" place. Original generation time 1.3478 seconds. Cache Loaded in: 0.0005 seconds.